The speculation about who President Trump will pick for the Supreme Court seat vacated by Anthony Kennedy is heating up, as Democrats signal their particular distaste for Amy Coney Barrett, who is among the finalists. Barrett, a federal appeals court judge on the seventh circuit who faced a contentious Senate confirmation hearing last year, is already drawing criticism amid the revelation that she is among four nominees on the president's shortlist whom he has personally interviewed for the job. Barrett is also a graduate of and was a professor at Notre Dame Law School prior to being tapped for the federal appellate court judgeship. During her Senate hearing last fall, Senator Diane Feinstein of California was criticized for what many considered bigotry for telling Barrett that the "dogma lives loudly" within her, when speaking of her faith. Other Democratic senators also made comments and raised questions about her faith many saw as inappropriate. Then, as now, some say the overt disdain toward her is in part because she is a devout Catholic. Senate Democratic leader Chuck Schumer expressed this week several reasons why he considers Barrett unacceptable on the high court, as have left-wing and abortion rights activist groups, with much of his criticism focused on abortion rights. Some of the concern brewing on the left is because many think Barrett, a Catholic mother of 7, will provide the fifth vote to dismantle Roe v. Wade, the 1973 landmark decision that legalized abortion nationwide, though some think such a conclusion is premature. 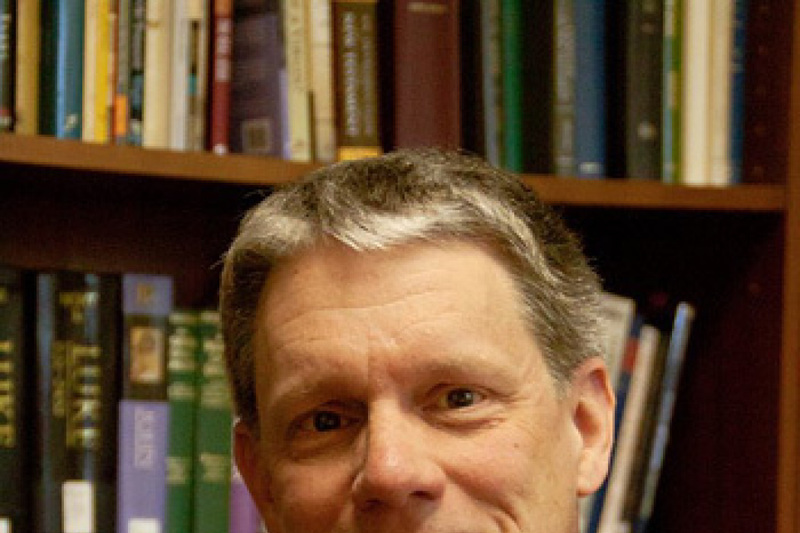 Last September, prior to her confirmation to the federal appellate court bench, The New York Times published an article outlining "worry" among some about Barrett's ties to People of Praise, an ecumenical charismatic parachurch group mostly comprised of Catholics that was founded in 1971. In years past female leaders in the group were referred to as "handmaidens," a term chosen in 1971 but is no longer used due to negative connotations associated with the word. Today, female leaders in People of Praise are called "woman leaders." Richard Painter, a law professor at the University of Minnesota, was unnerved, commenting on Twitter Saturday: "A religious group in which members take an oath of loyalty to each other and are supervised by a male 'head' or female 'handmaiden.' That looks like a cult. Now she wants a seat on SCOTUS for the sole purpose of overturning Roe v. Wade. The answer is NO." Likewise, Norm Eisen, senior fellow at the Brookings Institution, referred to People of Praise as a "secretive religious cult," approvingly retweeting Painter's concerns. 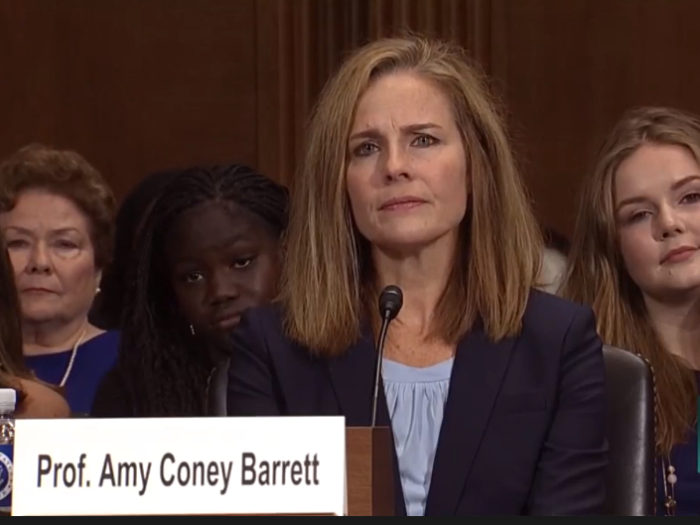 Abortion rights group NARAL tweeted Monday, alarmed: "Amy Coney Barrett has been perfectly clear — she wants to overturn #RoevWade. She also belongs to a group that both refers to women as 'handmaids' (no, we're not joking) & believes that husbands are in charge of their wives. She's on Trump's #SCOTUS shortlist. #WhatsAtStake." The term "handmaid" conjures up images for many of the women of Gilead who were used as breeders in Margaret Atwood's famous dystopian novel, The Handmaid's Tale. Painter reiterated his comments Sunday. "Handmaid's Tale, Episode Two," he said, linking to an article from the Christian Broadcasting Network about why evangelicals want Trump to pick Barrett. "Preview. The fix is in. The 700 Club and other fringe groups join the campaign. If she is nominated, a senate vote for her IS a vote to overturn Roe v. Wade." Yet Michael Wear, an evangelical author and former Obama White House staffer, criticized both remarks, warning that such Democratic messaging stands to backfire badly. "If Barrett is the nominee, and Democrats take an approach like the below," he said of Painter's June 30 comments, "there will be serious political ramifications and they will not be good for Democrats." "Totally fair to critique Barrett on legal cases and issues, but this is the liberal version of saying Obama went to a madrassa and hoping no one knows what it actually means, and is terrified because of it," he noted Tuesday, commenting on NARAL's post. Writing in National Review Monday, David French opined that the leftist scorn is centered on her faith, and is evidence of a widening "God gap" in American politics. "The alarm isn't about her credentials. She's checked every box of excellence — law review, appellate-court clerkship, Supreme Court clerkship (with Justice Scalia), elite law-firm experience, law professor at an elite law school, and now experience as a federal judge on the Seventh Circuit Court of Appeals. She's a young, brilliant woman at the apex of her profession." He added: "It turns out that she's a faithful Christian who lives a Christian life very similar to the lives of millions upon millions of her fellow American believers." The efforts to portray the Seventh circuit judge as a woman with cult-like religious associations have earned her support from across the Atlantic. "Amy Coney Barrett is a woman any normal human being would dive into a spray of bullets to save. She is noble, smart, and loving. Awesome scholar, devoted mother. The effort to paint her faith as outré is bizarre," said William R. Dailey, director of the Newman Center for Faith and Reason at the University of Notre Dame in Dublin, Ireland on Monday.